A blog about customer experience, employee experience, customer service, voice of the customer, and leadership. A lot of people talk about being customer-centric, but it’s one thing to say that and another to be it! Customer-centricity is about putting the customer at the center of all you do. Today I'm pleased to share a guest post by Chanice Henry of CX Network. According to CX Network’s latest Annual Global State of CX Report, showing return on investment (ROI) from CX projects is one of the top challenges troubling CX practitioners. 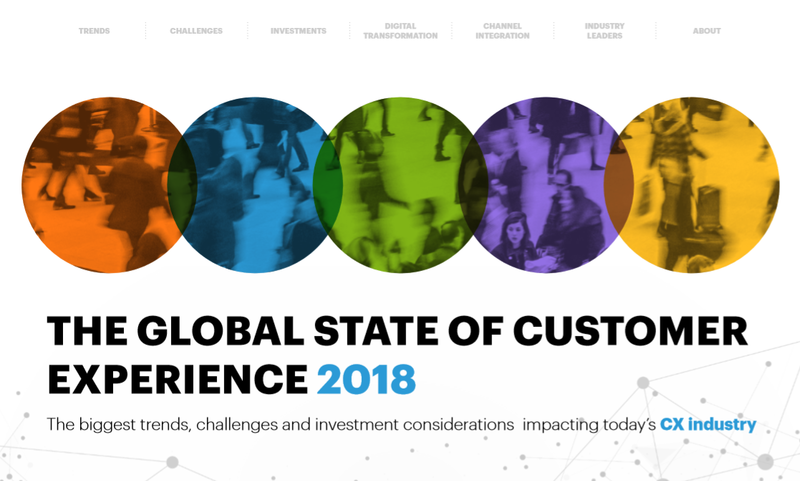 The report saw nearly 270 responses from the CX community, with each participant providing insight on the trends, challenges, and investments shaping customer experience. Just over 70% of those participants were part of the decision-making team in their organisations. Evidencing ROI was highlighted by almost half of the respondents as the biggest block to gaining approval for future CX investments. Some CX initiatives are relatively simple to justify financially because they have obvious cost or operational advantages which benefit both business and customer. The real challenge comes in when rationalising outlay to improve the brand’s customer experience based solely on predictions of increased future revenue. As mentioned at the 14th Annual Global Summit for Customer Experience Management in Telecoms, to tangibly improve business results companies need to approach customer experience projects with the awareness that CX sprints are a part of a much larger journey. When asked for the solution to this ROI problem, one common craving from research respondents was for better visibility on the initiatives that would have the biggest impact. This visibility is critical to prioritise the projects with the highest forecasted return. 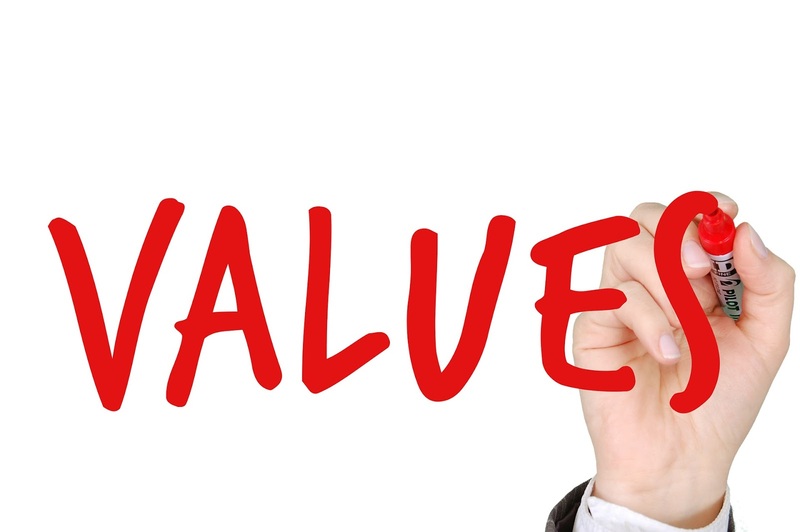 CX projects with the most return will be rooted in the elements that customers value most. To detect where this value lies, you must build your awareness on what matters to your customers in their experiences with you. Be warned – this may not be what you are expecting. For instance, radical feedback from a mother of five to a room of C-level executives led to phenomenal product innovation at Verizon. In reaction to the product the mother had suggested, Justin Reilly, Former Head of Customer Experience Innovation at Verizon said, "…no one in the room, some of the smartest people in the world, had come up with a switching product. So we built a switching product that went as far as the lawyers would let us go, and it’s been phenomenal. If you actually analyse the metrics of building it, it’s cheaper than building a product with discounts and all these things that we think customers want when they [in fact don’t.] Deep, personal research into what your customers want is often very time consuming, but if you get that right once a year [that can make a major difference]." Internal cross-functional innovation teams are also crucial for breaking down silos of information and communicating the customer journey as it stands and where it needs to be. They can pinpoint the touches that are most crucial to the journey and in most need of improvement. This self –awareness is key to knowing which factors are likely to move the needle the most on your customer index. This sort of research helps CX teams build a business case that clearly articulates what they expect to achieve. References to historical improvements in NPS can be useful to rationalise investments. This business case will lay the foundation for a formalised road-map for the CX sprint. This clear view of the CX sprint allows participants to track trajectory and make necessary adjustments. Businesses often fall down by having CX processes and strategies that are too flimsy. In these instances, the firms enjoy financial returns but struggle to link it to the hard work put into customer experience projects. After or during the CX sprint, it is important to make sure movements in your customer index or metric actually correspond to the reality. This is needed in businesses that have relatively healthy satisfaction and NPS levels but still suffer from concerning customer churn rates. When providing direct feedback, customers can say one thing but inevitably do another. In order to untangle this strange dynamic, teams should measure customer sentiment using tools such as text analytics to discover signals that indicate what is actually making customers leave your business. 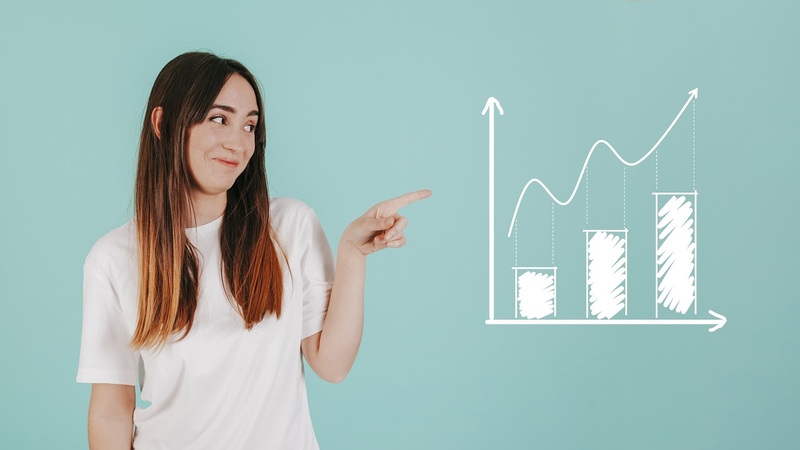 Once you uncover these pain-points, instead of focusing on NPS, use these stumbling blocks as your main employee metrics. This method will ensure your brand is improving the factors that are of real value to customers and influential to their retention. 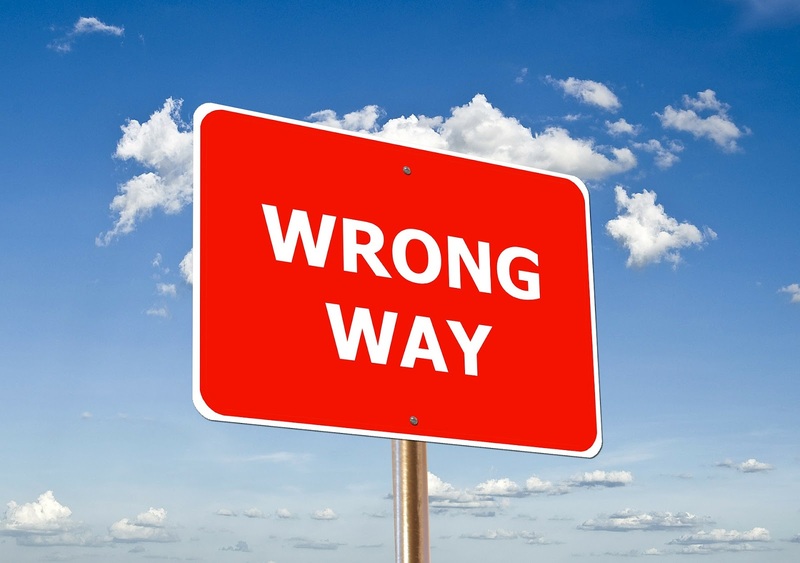 Firms that run inconsistent CX programs that are measured independently of each other will greatly struggle to see improvements in business results. This lack of strategic vision can negatively affect the company and its financial return. Businesses can suffer from the temptation to use driver models to calculate the economic benefit of every customer initiative, however small. Mark Gubbins warns, "It is very easy to get too granular and to think of the customer journey as a series of business processes rather than view it holistically through the customers' eyes." He adds, "Don’t expect to find a simple mathematical relationship between NPS and revenue. At BA, we have explored such relationships and have concluded that the critical thing to understand is the relative importance that customers put on the various elements of the customer journey." Instead of seeing CX initiatives as self-contained entities, businesses need to think holistically about how these projects connect in the story. This holistic view will reveal new tangential opportunities for CX wins. Be sure to frequently assess your CX initiatives to spot opportunities for improvement and inform the next CX investments. It can be tricky to isolate the impact of a CX initiative amidst the many variables influencing a business. CX expectations are fast moving, so initiatives may begin by providing marginal benefits but then evolve to provide revenue protection if the competitive set changes. Mark Gubbins concludes, "CX programs to meet new expectations are not nice-to-haves, they are vital to stay in the game." The businesses that enjoy the most CX traction and see ROI from projects hold onto that holistic, long-term view while they operationalise individual best practice improvements. Chanice Henry graduated with a BA in Journalism, before diving into the world of B2B editorial focused on property finance. Shortly after this, for three years as editor of Pharma IQ and Pharma Logistics IQ, Chanice led the editorial direction of the portals to educate and inspire pharmaceutical professionals working to treat the world’s patients with targeted and effective medical care. Now as Editor CX Network, she continues to produce a range of premium-level content, but now for senior customer experience, service, insight, digital and marketing leaders. Today I'm pleased to share a guest post by Vaishali Gopi with Freshworks. Customer experience has become pivotal to growth and profitability strategies of businesses worldwide. There is now a deeper understanding of customer experience as an incredibly important piece in the success (or failure) of any brand. Research states: By 2020, customer experience will overtake price and product as the key brand differentiator. Is your business prepared for this? To successfully meet customer expectations, first research what customers actually want from your services. Convenient, fast, personalised, and proactive are some service elements customers expect. While all of these are good, it is more important to know at what point in the customer journey these factors come into play. Timely and relevant engagement helps reap valuable benefits. For example, personalization and proactivity when a lost credit card is reported, i.e., in addition to a quick replacement, alert them of bills likely to be affected. Customers like and remember these little experiences with your brand, and this makes all the difference. Very few companies actually put time and effort into tracking customer channel preferences. The proliferation of communication channels prompted many businesses to ensure their presence on popular mediums like email, phone, chat, social, and more. However, to deliver exceptional customer experiences, availability alone doesn’t cut it. Channel convenience is pointless if customer needs are not met or are delayed or if the experience is bad. To stay ahead of the curve, identify appropriate channels for customer engagement at various steps/stages of the customer journey. For example, things like checking a statement balance or order status can be achieved via a self-service system, while other tasks, like disputing a charge on a bill, definitely need direct interaction (e.g., by phone) with a person. The omnipresent customer needs an omnichannel experience. Customers reach out any time, from anywhere, and through various sources and still expect fast answers. They often start on one channel, such as email, and then report the same issue on social media or chat, hoping to get the attention of a service agent sooner. These are routed to multiple agents who then need to tie up context, troubleshoot the issue, and respond on the appropriate channel. 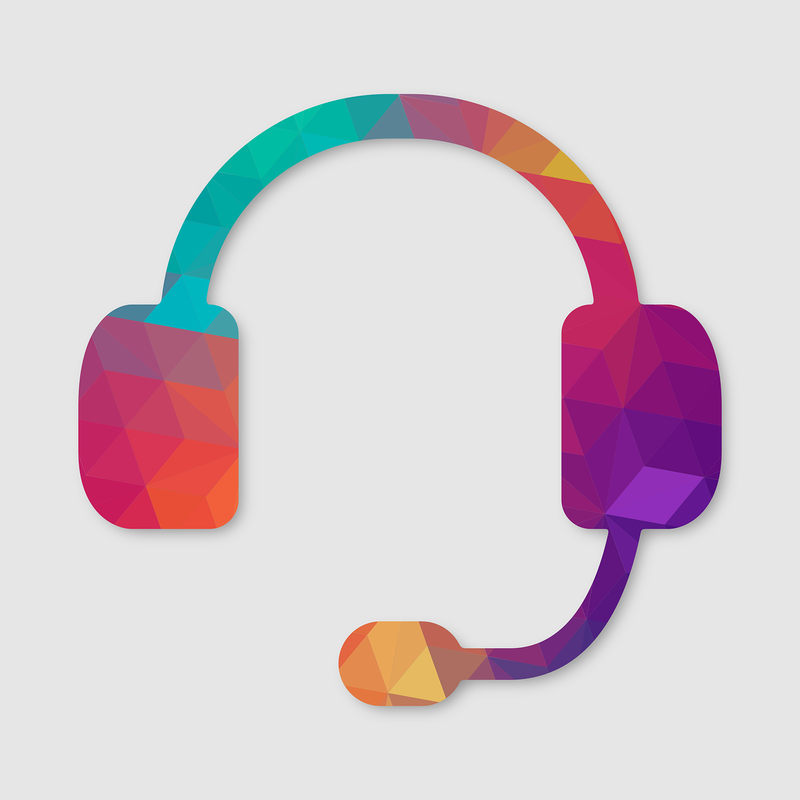 When a customer calls for support, can your support agents see the email or live chat conversations between the customer and your fellow agents that occurred prior to the call? Omnichannel support allows for a connected customer experience, regardless of entry point. Therefore, not only be available on relevant channels, but equip agents with the right context and expertise so they can effectively engage. Only then can your support teams strategize to deliver consistency and continuity in experiences across channels. Service teams empowered with a single view of the customer and the right training are confidently set up for success. Artificial intelligence (AI)-powered chatbots in customer service have been a hot trend for a while now. Successful businesses effectively leverage this technology to complement service efforts and lessen agent load. AI-powered chatbots prove to be effective delivering frontline service and agent assistance, reducing their load of trivial and mundane tasks. For example, chatbots can help direct customers to the right solution on the website/knowledge base or collect necessary information before connecting them with a live agent. At a deeper level, AI-powered chatbots assist agents with context, history, and insights to help them make informed decisions and deliver proactive, personalised solutions - fast! AI-powered chatbots are a solution to enhance - not replace - agent-led customer support. Agents can focus on and tackle complex decisions, as chatbots take care of repeat or first-level questions. 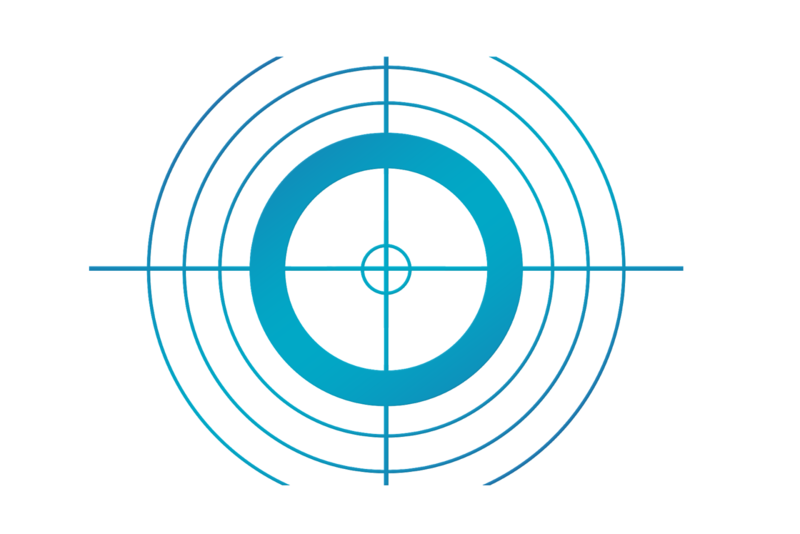 The predictive analytics capability enables agents to deliver high-quality problem solving from first contact. Businesses have been able to cut down on escalations and overall ticket volumes. When customers want a problem solved, they look for the fastest way to resolution. Most of them prefer to solve problems on their own first. Here’s where an effective self-service portal needs to be an integrated part of your customer experience strategy. For example, processing refunds is a better experience when customers don’t have to spend hours on the phone or emailing multiple people. Offering a range of service types, from self-service to full-service, gives customers flexibility and saves time and money by routing them to the best channel for the quickest, best-suited support. It is doubly important that data gathered from self-serve channels are not siloed. They need to be integrated with email, calls, and social media for greater insights and a truly seamless experience for your customers. Building happy and loyal customers is the best way to improve your bottom line. Service is transitioning away from a cost center to one of an additional growth engine. By generating new sales opportunities and improved brand experiences, businesses are competing through customer experience. To get deeper insights into customer experience influencing increased customer engagement and revenue, join this webinar featuring Forrester Research. Guest speaker Kate Leggett, VP and Principal Analyst at Forrester, shares trade secrets and data insights on Customer Experience driving business value. This past weekend, I attended the Good is the New Cool event in Los Angeles, an event that is based on the book by the same name. It was such an inspirational event with a lot of great speakers sharing stories of how they're making an impact and fighting for change in a variety of social arenas, including child slavery, mental health, gun violence, bullying, the water shortage, plastic in the oceans, recidivism, and more. The stories were all emotional and amazing, but one that stood out for me, given the work I do, showcased the power of supporting your brand and being the ultimate fan. Is Yours a Cult Brand? Employees Can Be Raving Fans, Too! Why Bother Giving Great Service? Do You Have a 12th Man Advantage? What is the CX End Game? wear your brand, and want to show that they are part of something bigger than themselves. Tattoos, anyone? The tattoos and the wearing of the brand were on my mind as I sat through a talk by Paco and Beto of social change agency Activista. They are the brains behind a movement called Immortal Fans, a campaign they created in 2013 for Sport Club Recife in Brazil. 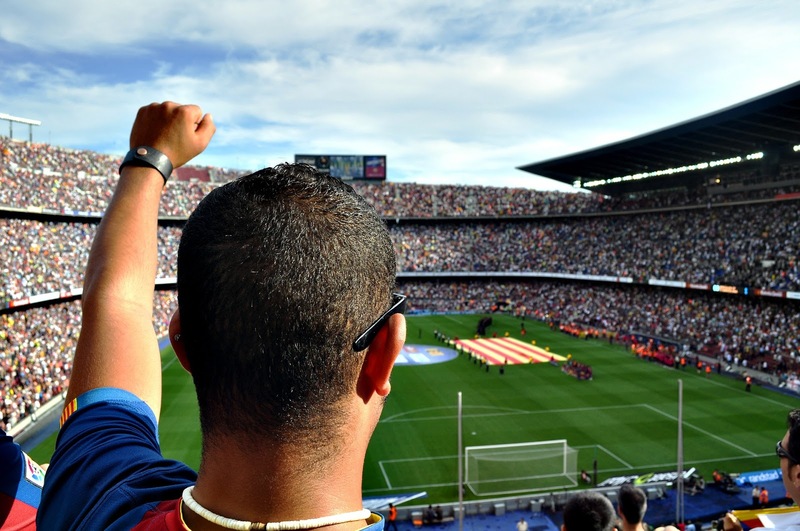 We all know that soccer fans are passionate, fanatical, and rabid. But they've gone beyond raving fans to becoming immortal fans. They are the ultimate fans. They are committed to being fans in life and in death. Forever fans. Sport Club Recife wanted to use its power to do more, to do good. They asked fans to become what was coined "immortal fans," to sign up to be organ donors and donate organs after they die so that their love of the club could live on in someone else's body. What was at stake was a transplant wait list that saw only five or six patients getting much-needed organs per year. With this campaign, they increased organ donors by 54%; 66,000 fans had signed up to donate by the end of the second year of the campaign. As a result, the wait list dropped to almost zero; the following year, 28 patients received transplants. I can't do this justice. The video explains it best. Think your employees, customers, or fans would die to live for your brand? I was recently asked for suggestions on how to prevent different business units and divisions within a larger organization from becoming complacent when they are performing well based on their customer experience metrics. In other words, their scores, e.g., NPS, are high, so they act like their goal is met, and there's nothing more that needs to be done about the customer experience. One piece of advice I have is: never rest on your laurels! Don't ever believe that the experience is "good enough." This is a journey! And there are a lot of reasons that you should keep going and never think that your work is done. The business changes. New products are launched. Acquisitions are made. Oh, and one more thing. Not that we're going to blame the survey for your consistently great scores, but how long has it been since you've revisited your surveys? 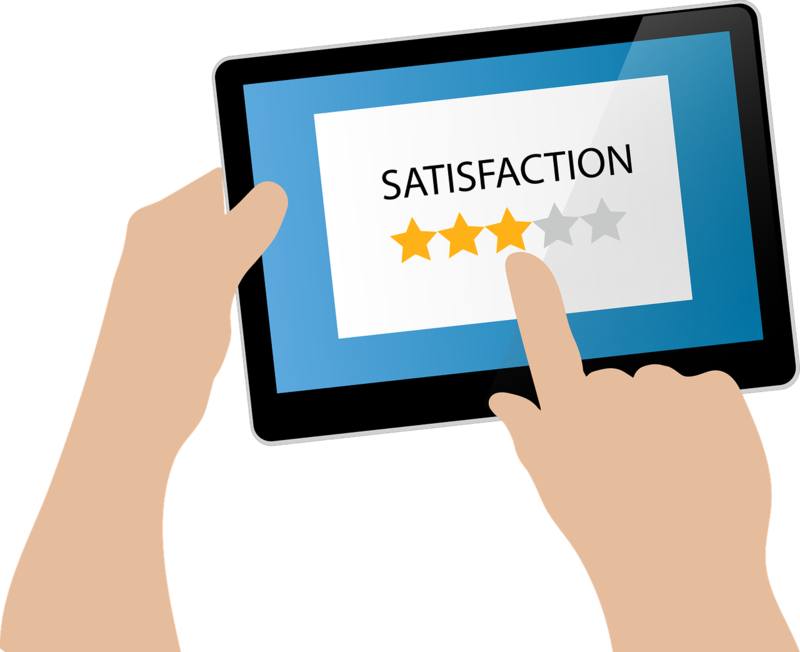 You'll want to make sure you're capturing feedback about: the latest experience (assuming you've improved the experience but haven't updated your surveys), new products and services you've introduced, and emerging customer needs and trends in the industry. Have you looked at verbatims for emerging trends/pain points/weak signals? That's a great place to start. And those scores, are they for a specific transaction or for the overall relationship? If they’re transactional scores, it’s probably time to look at the big picture and measure how the customer feels about the entire relationship – and not just with that division or business unit but with the entire company. That’s where the rubber meets the road. You are one company/one brand, after all. Also, is your company metrics-focused or experience-focused? If you're doing what it takes to improve the metric, not the experience, you are advocating a different type of behavior than if you're focusing on improving the experience. Your scores will likely change if you focus on the experience, instead. As the department head or business unit head what he/she has done to improve the experience since the last measurement. You may also want to re-assess your personas and who you think your customers are today versus who they were when you started listening to them. As mentioned earlier, customers change. Their needs change. The jobs they are trying to do change. Take a look at benchmarks. How are the scores relative to different business units? How do they stack up against competitors? Look at emerging industry trends relative to your scores. You may think your scores are great in a vacuum, but when benchmarked, you may not look so good. This is an important consideration. Bring in non-survey customer and industry data and insights - things that will keep you from resting on your laurels. There may be other industry trends and customer needs that could be disruptors, things you haven't even thought about. A phrase I heard the other day... Don't get Blockbuster'd. Ouch. "Neither RedBox nor Netflix are even on the radar screen in terms of competition,” said Blockbuster CEO Jim Keyes, speaking to the Motley Fool in 2008. “It’s more Wal-Mart and Apple." Also, how do your customer retention numbers look? NPS might not be telling the whole story. What do the business metrics tell you? Similarly, another thing to consider is: what does that metric really mean for the business? To what outcome (financial metric) is it linked? If the score is high, but you haven't taken the time to figure out if it's meaningful to the business in a financial way, it's time to do that analysis. There are a lot of different aspects to consider before any company can even think about becoming complacent about the customer experience. As I said before, it's a journey, not a destination. Today I'm pleased to share another guest post by Lexie Lu of Design Roast. How do you turn site visitors into raving fans? You spend a lot of time and money driving traffic to your website and reaching out to new potential customers. Once they land on your site, it needs to finish the work you started and convert a high number of visitors into customers. However, your conversion funnel may be lacking, creating a problematic customer experience (CX) rather than a positive one. Only 22 percent of business owners like their conversion rates - the other 78 percent seek improvement but aren't always sure where to start. Fortunately, there are some clear CX design updates that improve your overall conversion rates and funnel site visitors through the areas you want them to go. "Know your audience" is advice you'll hear over and over again. It is one of the first things you should do before working on your customer experience. How can you improve your website and make it user-centered if you don't know who your customers are? Start by digging into your website analytics through tools such as Google Webmaster Tools. Look at various complaints your customers filed with you that are related to their experience on your website. Poll your customers and do split testing to see at what point in your sales funnel customers leave your site. Armed with this knowledge, move forward and improve the rest of your conversion funnel on your site with a customer-based approach that turns visitors into fans of your brand. When a visitor lands on your page, is it obvious what your purpose is? Your landing page headline turns up in search engines, appears on social media posts, and sums up the main topic. Your headline should entice readers to visit your page, explain its unique purpose, and sum everything up in a handful of words. Researchers found some phrases work better than others for headlines. For example, the phrase "will make you" had more than twice the engagements on Facebook as other phrases. Do you want visitors to take action once they land on your page? Streamline your design and remove any clutter. Over time, designers add various elements and features, but this creates a cluttered look and confuses readers as to the purpose of the page. Sum up the singular purpose of your landing page - perhaps collecting user emails or sending the visitor to a shopping page. Remove anything that doesn't point the user toward the goal. Consumers are less trusting than ever before. A recent survey shows that people's trust in business, government, NGOs, and media is in a sharp decline. Gaining the confidence of site visitors is more difficult than ever before. One of the best ways to show consumers you're trustworthy is transparency. Explain your return policies clearly, for example. Consumers also look at how professional your design is and how easy your site is to use. Broken links or nonworking forms harm trust levels. Include any prominent organization memberships or BBB ratings, as well. The use of voice-based search exploded in recent years, thanks to devices such as Alexa and Google Home. Around 20 percent of American adults own a voice-enabled speaker. Improve the experience of those tapping into this new technology by enabling voice search on your website. Voice search also makes your site more accessible to those with vision impairments. Identify the main problems your typical buyer faces and address the issue on your landing page. Convert visitors by offering a simple solution to their problem. The needs of your customers are what drives them to your site in the first place. Address the need and offer a solution, and they're more likely to convert into customers. Address needs on your landing page before the user reaches your call-to-action (CTA) button. Although new customers drive growth in your company, your old customers are far more valuable. Improving customer retention by a mere 5 percent ups your profits as much as 25 percent. Current customers often spend more than new ones per transaction, too. A smart conversion strategy considers both old and new customers and treats them equally in importance. You may require more than one landing page to address the needs of both current and potential customers fully. Add a community area for current customers and provide a login as a perk of remaining loyal. Offer specials and deals no one else gets, such as discount codes and first looks at new products. Your CTAs should speak directly to individual site visitors. Personalized CTAs have approximately 202 percent better conversion rates than basic CTAs. Adapt the CTA based on the visitor's geographic location, the language they speak, or if they've visited your site in the past. Even the language of your CTA has an impact on your conversion rates. Use first-person language for a more-personal feel. One of the essential elements in your conversion process is a follow-up. Once a customer places an order with your site, they want to know their order went through and what the next step is. If engagement is one of your goals as a brand, order confirmation emails have a 70 percent open rate. Include a message that lets the user know the order went through, and follow up with an automated email. Keeping new customers informed about where they are in the ordering and shipping process builds trust and increases the chances they'll do business with you in the future. Every little change to your landing page that enhances the customer experience gives you a better chance of converting visitors into customers. Customer acquisition is about far more than merely getting an order from a new person. A strong CX strategy includes changes to your site's design and a focus both on gaining new customers and keeping them as lifelong fans of your brand. Lexie is a web designer and typography enthusiast. She spends most of her days surrounded by some HTML and a goldendoodle at her feet. Check out her design blog, Design Roast, and follow Lexie on Twitter.